I miss blogging..and I miss baking.Okay,my last post was a few days back and it was a baked goodie-a Cake then why am I saying this?I know it,I simply know it--the gaps between my posts has increased drastically and my bookmarked folder is bursting,with me showing no signs of ever getting it done.As I was wondering what was wrong with me and whether to put the blame on my laziness came my birthday gift,or rather one of my birthday gifts!! It came a week early and I feel it couldn't have come at a better time.I was shaken out of my slumber being and was all set to start baking.But before that I had some to-do bakes and this one topped the list. Ever since the Bundt fever,I've been hooked to The Food Librarians blog and the way she's been churning out one goodie after the other,I can see myself putting on all the extra weight I had shed off.But anything--absolutely anything for a Brownie.These Brownies looked so so good that I HAD to bake them.Slightly chewy and oh-so-chocolatey..loved it.Now I am scared if they will last long enough for the dinner party at home! !Planning to serve these with Chocolate excess Ice-cream and Hersheys Sauce--Too much chocolate,did I hear you say..? ?Is there anything like too much chocolate?? The recipe is from The SoNo baking company Cookbook. Grease/Line an 8-inch square baking pan. Whisk together flour, cocoa, salt, baking powder and soda. In a medium saucepan, melt butter over low heat. Remove the pan from the heat. Add the sugar and corn syrup[or honey], whisk to combine. Whisk in the eggs, one at a time. Whisk in vanilla. Fold in the dry ingredients. Fold in the chocolate chips. Don't overmix. Pour into pan, smooth the top. Bake until toothpick comes out clean, about 30 minutes. Cool in pan and then eat! 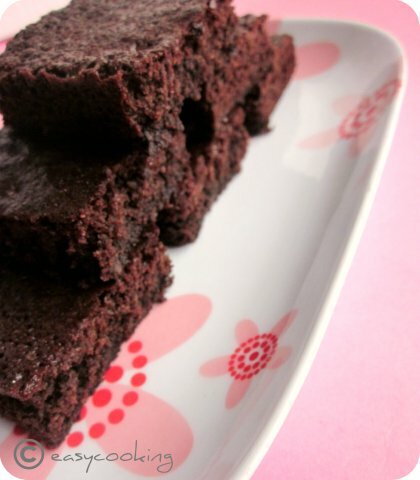 SoNo Brownie makes it way to Madhuri of Cook-Curry-Nook's Chocolate Fest,have you sent in your entries yet? ?Check out her blog for a cool giveaway to celebrate her blog's first anniversary!! Naaah!! There can't ever be such a thing as too much chocolate:-))) Brownies look so so good!! 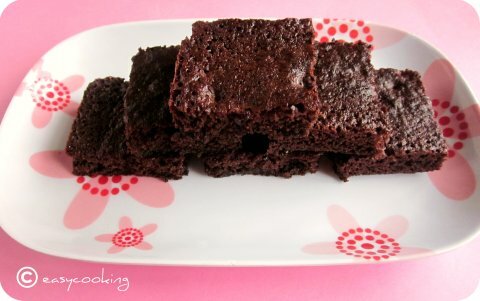 Loved the first pic..
love brownies...this looks yummy and delicious!! Hey Divya,,so so yumm chocolaty . 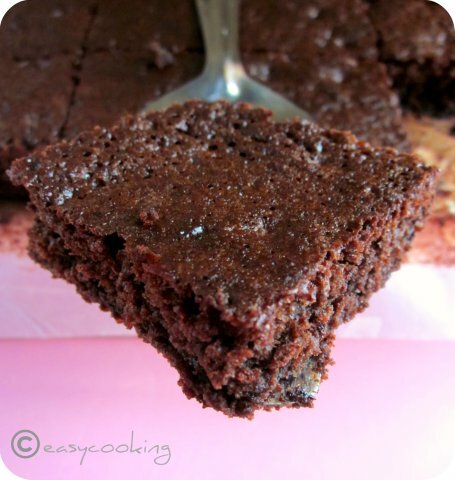 Sounds very easy but looking damn tempting,love the name SoNo brownies ! !